Pickle! 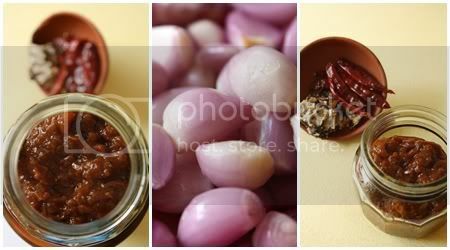 they are the best accompaniments with lots of our dishes and can make "any" dish delicious with its taste. By any, I even mean Pazhaya sadam(left over rice). If asked about pazhaya sadam, I would be a person who would not sulk to it. Its of course delicious and very healthy. Peel the onions and chop them into small pieces. Extract the pulp from tamarind. Fry fenugreek, cumin and asafoetida in a dry pan and powder it finely. Heat the oil in a wok and crackle mustard and drop in the curry leaves too. Add the chopped onions to it and fry till it turns transparent. Then add the tamarind paste, jaggery, salt and chilly powder to it and mix well until it becomes thick(pickle consistency). Finally add the powdered masala and mix well and cook for just two minutes. You can preserve this in the refrigerator for around 6 months. Keep in mind that the oil should cover a thin layer on top of the pickle after it is transferred to the bottle. This will prevent the pickle from getting spoilt. This goes for all pickles. Best combo...Thanks for the pickle recipe..wonderful presentation..
Woww.. 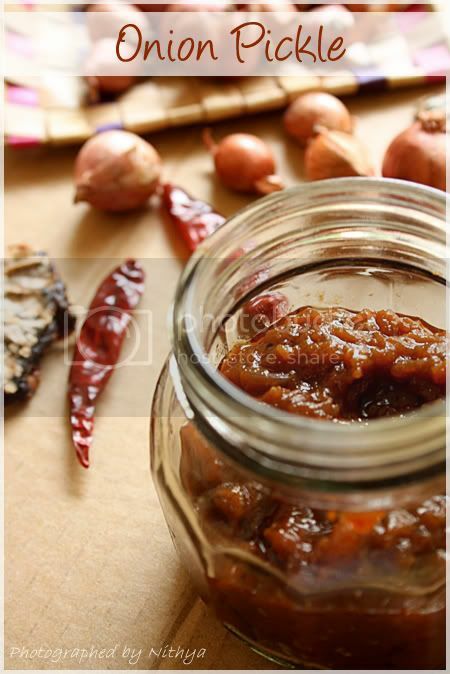 This is fav pickle.. looks perfect and tempting Nithi.. Awesome shots !! Onion pickle sounds delicious. Here shallots cost a ton. So it is used very rarely. Nice clicks too. this is yum, love the first pic! wow wonderfully tasty looks delectable. 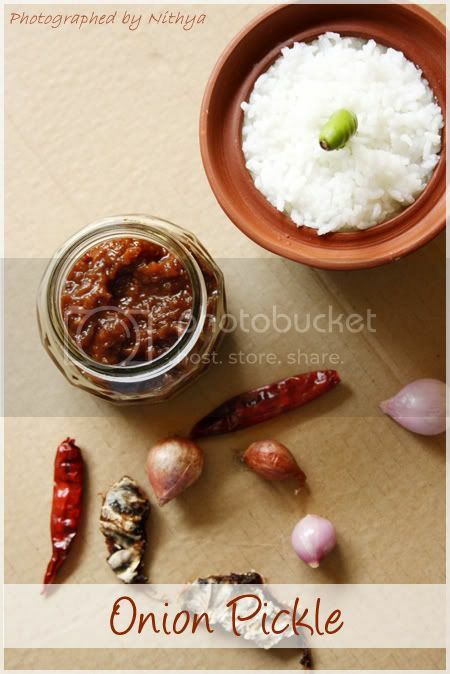 very interesting and tempting pickle...perfect with curd rice!nice click dear! this one is a must try! Thanks! Does it go well with 1 quarter cutting?? ha ha... Just kidding. Pazhaya soru is the healthiest food for any layman in India. Its tasty too. Great job nithi! Never tried an onion pickle before. Your combo of rice is indeed good but makes people gain a lot of weight. rooted classic pickle this is!! ah, but the mention of pazhya sadham is now making me crave! 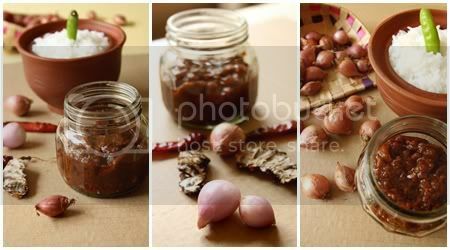 i did'nt even see shallots here in libya..ur pic. are tempting me..
Akka this is looking great!! 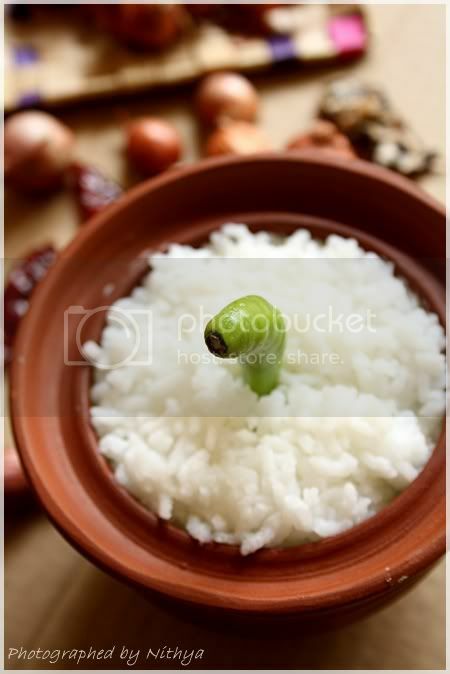 nice combo, pcikle looks yum, with curd rice it will be so delicious. Great clicks. great pickle. an instant mood uplifter. looks awesome. Mmmmmmm yummy nithi I am missing this so much ...can't find shallots here. Even if we happen to see it its so so so expensive...By the way pictures are cool with pazhaya sadham. I have a readymade onion pickle from Grand Sweets. Will finish that and attempt this. Looks absolutely great.